That's FORTY pounds! 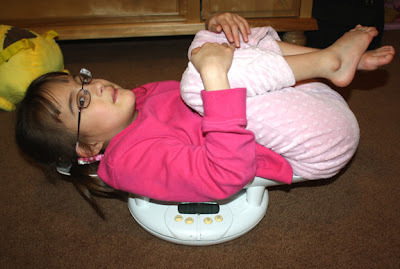 Eden weighs forty pounds!! She has doubled her weight in 3 1/2 years and gained 10 pounds in the past two years (funny she is wearing the same pants in that old photo), rightfully regaining her title as the Biggest Sister. Holland is weighing in at 36 pounds these days...or should I say for the last 6 months. Eden has been eating like a champ lately, and working out at EuroPeds for the past two weeks as well. Everyone knows that muscle weighs more than fat, right? And she is one tough girl!